A lot is happening in the sphere of Internet of Things and you’ve been reading article after article about it. So, now you must be ready to dive in. Then, what do you need to do? How do you get started? Follow these steps and you’ll be on the right track. What aspects of your business can be automated with connected devices? What types of sensor data would provide value to your business? What aspects of your business could benefit from high levels of visibility? Gather your brightest technology experts, user experience champions, and business liaisons to create an ‘Innovation Think Tank’ to discuss and brainstorm these topics. Your team has come up with some highly innovative ideas that look great on paper – but are they feasible? Especially, because IoT is full of emerging technologies and cutting-edge paradigms, you’ll want to try before you buy. Create a small-scale proof of concept (PoC) to try working some of the large kinks out upfront, to gain confidence in your project’s success. IoT implementations can touch many aspects of an IT department. Your actual team composition will largely depend on the project at hand, but here are some typical team members to consider. Software Developers – Custom software will be required in a few places for real-time processing and business logic to react to sensor data as it comes in for immediate decisions, service development to capture and store incoming sensor data, mobile / web apps to interact with, control, or report on data, and so forth. And software developers are the people for these tasks. Architect(s) – You’ll need a blueprint, and these are the people who can create it for you. They will take care of how sensors will communicate with services, applications, and each other. Infrastructure – Critical to any IoT implementation, these experts will figure out how to handle an increased network load, address security concerns, and figure out how to update firmware pre- and post-production. Data Architects – Your new data needs to be saved somewhere. You’ll need people who can design a database to store it in. Business Intelligence – Once data starts flowing, you’ll need experts who can work with it and extract value from it, providing meaningful reports, retrospectives, and predictive analytics. Testers – Quality should be an imperative with any IT endeavor. Testers will often need to think outside of the box to test IoT applications, so put an emphasis on test case design and involve testers early. Remember to start small. 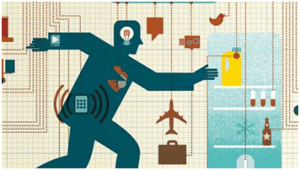 All of the potential benefits of IoT may not be apparent immediately after you start. Your first project will start to surface value, which will spur further innovation and more creative ideas from every corner of your business. Remember to build continuous improvement into your development cycles. Many of your people will be learning by doing, so collecting lessons learned will be critically important. The Internet of Things has the potential to open up business value, way beyond what was possible before. Jumping into it can be intimidating, but it is achievable with proper direction, planning, and the right team. Know more about Internet of Things services of Sogeti Spain.